Home Watch Services of Pittsburgh, of Pittsburgh, Pennsylvania, has earned Accredited Member status from the NHWA for the fourth year. Owners Jan and Doug Toth are long-time homeowners and residents of the South Hills area of Pittsburgh. Prior to starting Home Watch Services of Pittsburgh in 2015, they provided Home Watch and concierge services to their neighbors. Before that, Jan and Doug had successful careers in management, purchasing, and healthcare. Jan and Doug provide Home Watch services for townhomes and single-family homes, and for timeframes ranging from one week to year-round. Their customers’ comments nearly always include “peace of mind,” knowing that Home Watch Services of Pittsburgh is watching their homes and properties while they are away. We got to meet Jan and Doug when they stopped in to visit us a couple of years ago, and we’re looking forward to seeing them again at our North American Conference in May. Home Watch Services of Pittsburgh serves Pittsburgh’s South Hills communities. 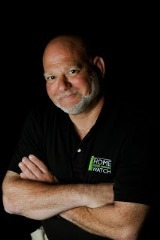 You can reach them at (724) 271-8360 or at contact@homewatchpgh.com. Visit their website at www.HomeWatchPittsburgh.com.